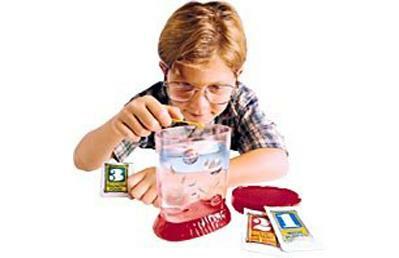 What Can Sea-Monkeys Do? – The Original Sea Monkeys The Original Sea Monkeys | What Can Sea-Monkeys Do? WHAT CAN SEA-MONKEYS DO BESIDES SWIM AROUND? Well, nothing much really. But their instincts can be used for some fun. Sea-Monkey creator Harold von Baunhut found that the Sea-Monkeys naturally swam up-current. That means, if you introduce moving water to them, they naturally swim against it. So what can be more fun than to take your favourite sea monkey and race it against your friends? Harold then invented the Sea Monkey speed way. This little contraption would allow you to control the flow of the water so that you can race your little pets to see who is faster. Another somewhat fun thing is they naturally are attracted to light. You can take a pen light and shine it inside the aquarium and watch as they all move along with your pen. Note that you must actually move the pen, otherwise they'll all just gather around the light.